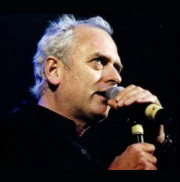 In addition to being legendary rock band Queen‘s musical director and keyboard player since 1984, British multi-instrumentalist Spike Edney has toured, recorded and performed with the living and late legends of our time. His career began in the mid 70’s as keyboard player and musical director for Soul & Motown legends Ben E King and Edwin Starr. In the 80’s, after tours and studio work with Bob Geldof’s Boomtown Rats, Dexy’s Midnight Runners, Thomas Dolby, Haircut 100 and Duran Duran, Spike commenced his 30 year career with Queen, joining them for two world tours, (“The Works” and “Magic”), as well as classic performances at “Live Aid”, “Rock in Rio”, “Live at Wembley” and “Knebworth”. Since then Spike has continued to perform and record with both Brian May and Roger Taylor on their solo projects. In 1987 Spike founded the band The Cross with Queen’s Roger Taylor, co-producing 3 albums “Shove It”, “Mad Bad and Dangerous To Know” and “Blue Rock” and in 1992 Spike joined The Brian May Band for the “Back to the Light” tour (the first of two world tours), followed by the “Another World” tour in 1997. Spike resumed his familiar position on the Queen stage for their 2005/2006 “Return Of The Champions” international tour and their 2008 “Cosmos Rocks” European and South American tours with a new line-up, featuring Paul Rodgers on vocals. Spike’s other work in his capacity as Musical Director for Queen includes the “Freddie Mercury Memorial Concert”. The 90’s also saw the launch of Spike’s All-Star Band a.k.a. The SAS Band. Since their debut in 1994, Spike and his band have made television appearances and performed at select private, corporate and major public events around the world. Several of those internationally televised concerts (with Spike as MD and his all-star band backing an array of stars) include the 2000 & 2001 Prince’s Trust “Party in the Park” concerts and the 2003/2005/2008/2009 Nelson Mandela “46664” concert for aids. Since becoming “46664’s” musical director and bandleader, Spike and his band have also had the opportunity to work with such legendary artists as Amy Winehouse, Simple Minds, Beyoncé, Anastacia, Bono & The Edge, Annie Lennox, Jimmy Cliff, Aretha Franklin, Stevie Wonder, Cyndi Lauper, Lil’ Kim, Queen Latifah, Jesse McCartney, Zucherro, Alicia Keys, Carla Bruni-Sarkozy, The Soweto Gospel Choir, Peter Gabriel, Josh Groban, Leona Lewis and Johnny Clegg. In between other Queen and SAS Band commitments, Spike has also worked with Eric Clapton, The Rolling Stones, Bon Jovi, The Manic Street Preachers, Robert Plant, David Bowie, George Michael, George Benson, Elton John, Jeff Beck, Peter Green, Lisa Stansfield, Def Leppard, Axl Rose, Joe Cocker, Curtis Stigers, The Beautiful South, Paul Stanley, Slash, Joe Walsh, Jon Lord, Adam Lambert, Bill Wyman and Luciano Pavarotti, to name a few. Other notable performances include the “Unesco Concert for Iraq”, the “Party at the Palace” concert for the Queen’s Jubilee at Buckingham Palace and Nelson Mandela’s 90th birthday concert in Hyde Park, London.